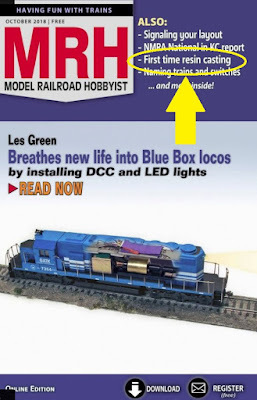 The October issue of MRH posted which includes an article I did on First Time Resin Casting. Click the image above (or here) to get to the issue - the article starts on page 190. I hope you enjoy it and can take a minute to rate it (and even leave a comment). The feedback really helps - thanks! 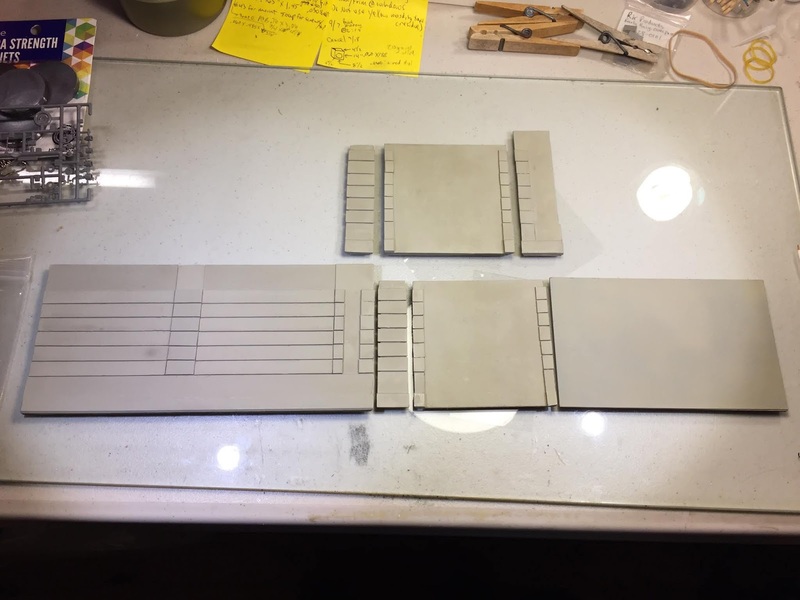 Finally, as if the weekend's events weren't motivation enough to get me doing some modeling, I received some parts for the Route 15 overpass in the mail from Dave Messer . . . The timing couldn't have been better since the resin casting article shows how I cast the girders for this bridge - and now I have the abutments! Since I was eager to see how they'd look, I decided to try and mock everything up . . . I still have a bit of finishing work to do, and of course I have to assemble everything and install it on the layout, but it's REALLY starting to come together! Between Dave's help, seeing some of my efforts in "print" (and video! ), and the inspirational layouts I saw over the past few days(detailed report coming soon), it's been a very motivational weekend and I can't wait to get back to some modeling! The abutments look great. What material did Dave use and how did he make them? He used Strathmore board and laminated pieces to build up the different layers/relief. Unfortunately, despite his having painted and braced them, it's so humid at my house that they've started to warp anyway. Additionally, I need to extend the height of the back wall to match the height of the front wall, as well as extend the height of the angled wall on the front to be even with the rest of the wall. 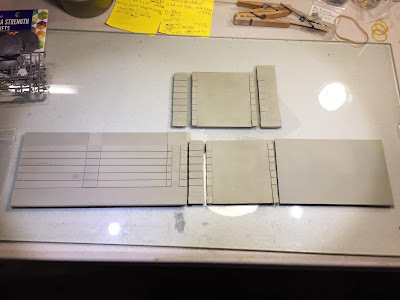 Given all that, I'm considering using the parts he made as templates for remaking them myself in styrene. Stay tuned!